This new building in the heart of Ryerson University's downtown campus serves more than 45,000 adult students with 1,000 courses and 71 certificate programs delivered through distance learning, on-campus courses, and off-site programs for corporate clients. The design process was highly collaborative, involving user groups and other stakeholders throughout. 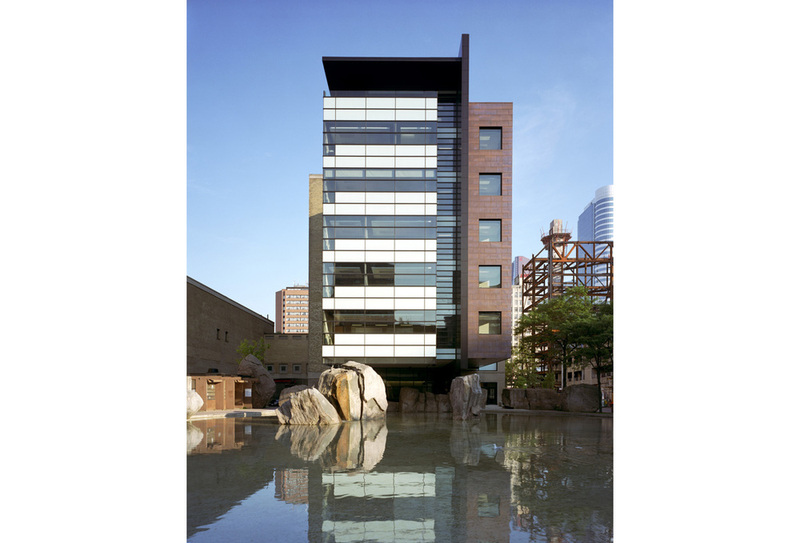 With its dramatic cantilever over the pond, choice of materials, incorporation of a heritage facade, and integration of landscape, the project conveys a dynamic high technology image while respecting the urban and academic environments.